This week, a few of the biggest names in human rights studies are gathered for a conference at Gonzaga. It puts the university in the spotlight as one of the leading academic settings in the U.S. for research in this area. The fifth annual International Conference on Hate Studies is a natural for Spokane, given its proximity to some of the nation’s most recent and important battles over human rights and free speech. Some of the prominent people involved in those battles are attending. They include Tony Stewart and Marshall Mend, two of the founders of Coeur d’Alene’s Kootenai County Task Force on Human Rights. They were right in the middle of the battle with the now-defunct Aryan Nations Church. Ken Stern is here too. He has long spoken about anti-semitism and written a book about the 1995 bombing of the federal building in Oklahoma City. Now he’s the director of the Center for the Study of Hate at Bard College in New York. “We’re trying to get Bard to be the model of how a small institution can really revolutionize the thinking about hatred and then trying to see that replicated in other places,” Stern said. Stern says Bard is trying to broaden human rights studies beyond sociology and psychology. He says he has reached out to faculty in many disciplines to see how they can contribute to the field. “The whole idea is to really set up a system where there’s a new emphasis on the interdisciplinary aspect of hate and really exciting the faculty and the students to engage in this work on many levels,” he said. The conference also included leaders of human rights institutes at universities in California and Ontario. 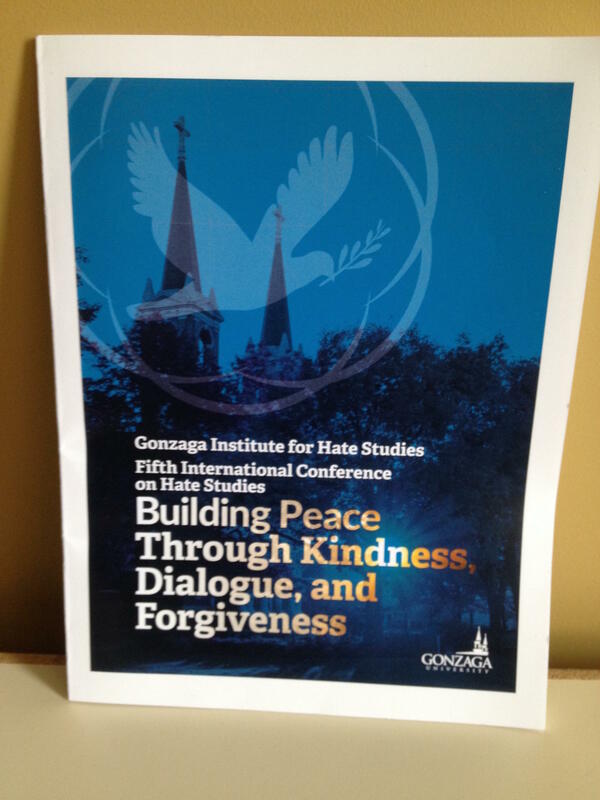 Gonzaga’s Institute for Hate Studies was one of the first academic groups to work in this area. Its director, Kristine Hoover, views the Spokane conference as a way to coordinate this growing field of study. “To some extent, this is a soft launch of universities coming together so that we worth in a both/and sense. We take care of our individual work but we do so in a way so that we’re not duplicating efforts and we’re maximizing the impacts that we can have," Hoover said. The Gonzaga conference will continue through Thursday. It’s the subject of Thursday’s Inland Journal podcast, available on iTunes, NPR One and Google Pay and at the Spokane Public Radio website.